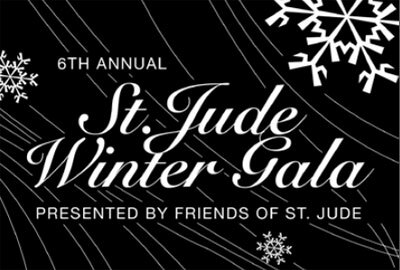 On Friday, December 7th, Friends of St. Jude is hosting their Sixth Annual St. Jude Winter Gala, a benefit in support for St. Jude’s Children’s Research Hospital and their fight against childhood cancer. Held at the Angel Orensanz Foundation, guests will enjoy samplings from some of New York City’s finest restaurants, complimentary cocktails and live music and dancing. The Gala host, Friends of St. Jude, is a group of young professionals dedicated to the mission of St. Jude Children’s Research Hospital. With chapters all over the country, Friends of St. Jude volunteers are helping to spread the message of St. Jude nationwide.